Home Opinions Standing Your Ground Against Loud Music: Justifiable Self-Defense or Murder? Standing Your Ground Against Loud Music: Justifiable Self-Defense or Murder? When you kill someone in self-defense, is it justifiable? On Nov. 23, 2012, 47-year-old software developer Michael Dunn pulled into a gas station in Jacksonville, Fla., parking next to an SUV that contained four black teenagers. Dunn complained about the loud music booming from the SUV, and what started as normal neighborhood drama quickly ended in tragedy. At the end of the day, Jordan Davis, one of the teenagers in the SUV, was shot to death by Dunn. This past weekend, Dunn finally received his sentence: the jury found him guilty of three counts of attempted second-degree murder and one count of firing into an occupied car. However, according to CNN, the jury couldn’t agree on the most serious and most important charge: a count of first-degree murder for killing Davis. 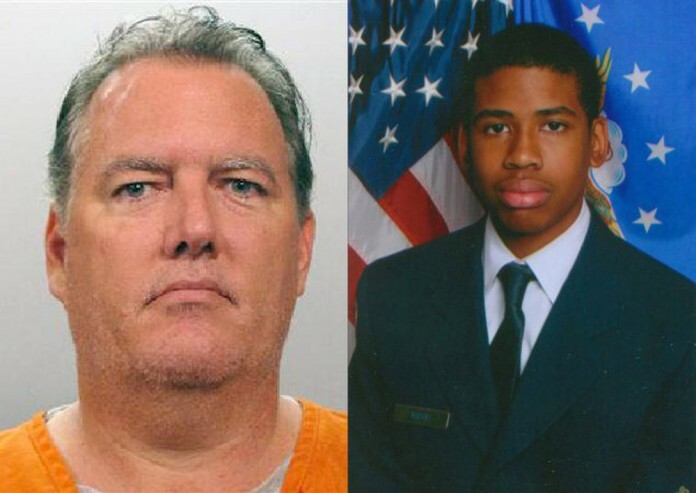 In the end, Dunn’s actions were deemed justifiable, but is that really fair to Davis and the other teenagers targeted? According to NPR, the federal law permits you to defend yourself when a stranger attacks you in your own home, but you must try to retreat if an altercation breaks out in public. Since 2005, Florida, as well several other states, has followed a “stand your ground” law that doesn’t require you to retreat. In other words, it’s perfectly legal to use lethal force to defend yourself if you feel threatened in any way, shape, or form. In states with “stand your ground” laws, homicides are twice as likely to be deemed justified, according to the MetroTrends Blog; in these states, homicides are deemed justifiable in about 10 percent of cases, as opposed to shootings that are only ruled justifiable in about 1.5 percent of cases. When the shooter is white and the victim is black, the rate jumps to a disturbing 34 percent, but when the roles are reversed, the rate is only a little more than 3 percent. Perhaps the most baffling and disturbing part of Dunn’s case is that the murder of one teenager was deemed justifiable, though the attempted murder of three others was not. According to The Huffington Post, Dunn claimed that he acted in self-defense after seeing a firearm pointing at him from the SUV, even though no such weapon was found. If anything, Dunn opened fire because he felt disrespected by the occupants of the SUV, though the worst Davis apparently did was increase the volume of the allegedly too-loud music after Dunn complained. The fact that homicide cases involving a white shooter and black victim are deemed justifiable far more often than cases with the races reversed is a disturbing statistic, though that’s all it is–a statistic. We can’t automatically assume that the jury that failed to convict Dunn acted under their own personal form of prejudice and bigotry. They could have just as easily been subconsciously influenced by perceptions of race and human behavior from outside sources, such as the media, and we can’t assume that juries of other cases similar to Dunn’s operate the same way. Still, a sentence like Dunn’s is wrong. The factors that influenced it will take a lot of time and effort to eradicate, but a more immediate solution to the problem would be to reform “stand your ground” laws in general–so that cases like Dunn’s, regardless of the victim or defendant’s race, don’t have such an high chance of being deemed justifiable. While the principle behind the “stand your ground” law makes sense, it’s still far too easy for people like Dunn to exploit it and walk away with murder without serious consequences. The definition of what constitutes a legitimate threat should be revised so that people like Jordan Davis, who, in the grand scheme of things, did nothing wrong, do not get wrongly persecuted and punished.